Each and every human life is precious and cannot be discarded Pope Francis warned members of the International Federal of Catholic Medical Associations and Catholic gynaecologists in Rome. The Pope urged the doctors to “bear witness to and disseminate the culture of life,” at a time when the medical profession shows signs of profound confusion about ethical standards. The members of the International Federation of Catholic Medical Associations were in Rome for their 10th International Conference on Catholicism and Maternal Healthcare. 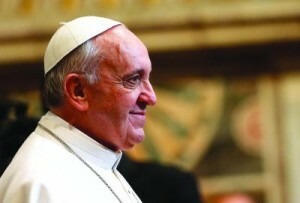 Pope Francis referred to the paradoxical situation which many medics face today, where on the one hand, there is the progress in the field of medicine thanks to the work of scientists who passionately and unreservedly dedicate themselves to the search for new cures. However, on the other hand, there is the danger that a doctor might lose sight of his identity as a servant of life. He referred to the Encyclical Caritas in Veritate to explain that this paradoxical situation is seen also in the fact that, “while new rights are attributed to or indeed almost presumed by the individual, life is not always protected as the primary value and the primordial right of every human being. The ultimate aim of medicine remains the defence and promotion of life”. Faced with this contradictory situation, the Pope renewed the Church’s appeal to the conscience of all healthcare professionals and volunteers, especially gynaecologists. “Yours is a singular vocation and mission, which necessitates study, conscience and humanity,” he said. He said the final objective of the doctor is always the defence and promotion of life while the credibility of a health care system is measured not only by its efficiency, but by its attention and love towards people and human life, which is always sacred.